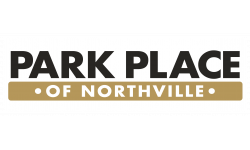 Park Place at Northville brings you premier apartment living in Northville. Live in style and luxury with lavish apartment and community amenities you won’t find anywhere else. Take it easy on the sundeck and enjoy the property’s lush landscaping and incredible views. You can also get your heart rate up in either our 24-hour gym, tennis court, or volleyball court, and when it’s all said and done cool off and relax in our outdoor swimming pool. When the day comes to an end you can relax in your spacious new home and enjoy the comforts of central air and heating, newly redesigned interiors with stainless steel appliances, cathedral style ceilings, your own private balcony or patio. Finally, you can end your day in your own spacious master bedroom! Schedule your tour, or apply online today!